Here are two photographs of the Atchison, Topeka & Santa Fe Railway office building in Topeka, Kansas. The photographs were taken from the south side of the Kansas capitol. 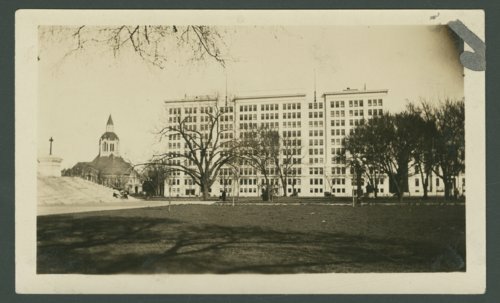 Visible in one of the photographs is the capitol, Atchison, Topeka & Santa Fe Railway office building, and the Memorial Building.